Fitbit one of the best fitness band manufactures out in the market, i would say they have saved my life, i have been using Fitbit Flex for couple of months now and lost more than 30 lb. Fitbit looks like a regular band which is often wore for style and it at times looks okay. Fitbit Flex does not look so much pleasing when you compare it with your other fitness bands in the market, but hear me out it is the most accurate fitness tracker i have ever seen. I tried the Jawbone Up fitness tracker by Jawbone and the Fitbit Flex simultaneously and got almost the same kind of data, the Fitbit Flex has a decent looking Mobile app be it iOS or Android when compared to Jawbone App. we will break down every possible feature in detail below. Fitbit Flex is packed so well and it comes with 2 wrist bands one of which is for smaller hand sizes and the other is larger. The box also houses the charging cable which is charged using a USB end by connecting with a Computer or to a wall adapter. The box also has a USB Bluetooth dongle which can be plugged into a PC and synced with that. When we talk about design Flex is just another band which is blank and does not have a very appealing look to it when you see it. It is made of rubber and feels very good in your hands and does not give you any irritations, on the other hand the Jawbone Up is rigid and not so comfortable. When the trap is locked it is firm and does not loosen or fall off and gives you a comfort. 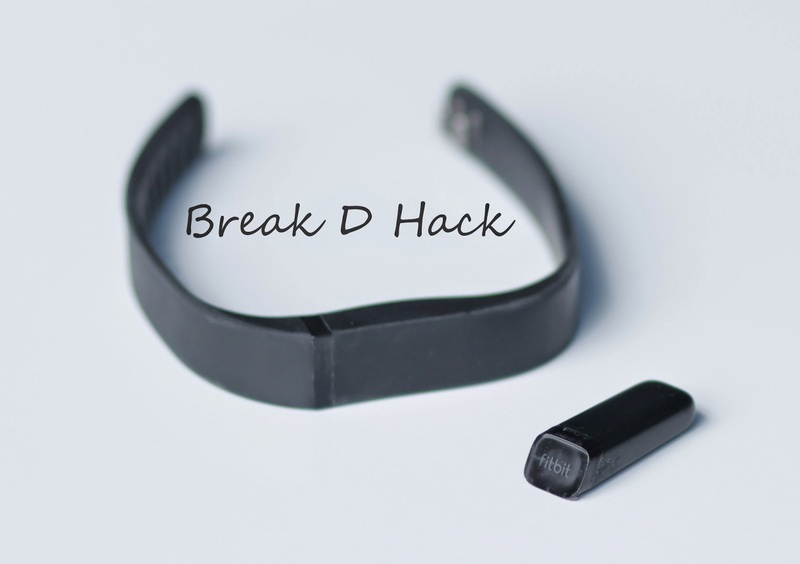 The Band is just the shell that holds the real tracker and that small irregular shaped thing in the image besides the band in the image is the Flex and this has a awful lot of power for a device of its size. The Flex has 5 LED lights in it and that show how much of your goal has been completed. Oh in-case i did not mention before the Fitbit Flex also tracks your sleep. when you go to sleep you would have to switch the Flex to "Sleep Mode" by tapping repeatedly on the top of the band until u get a vibration and the LED indicates the Sleep Mode. When you wake up you would have to turn it back to normal mode by doing the same process. You can see how well your sleep has been in the App, it shows the deep sleeps, the number of times you were restless and awake. this feature may help us to improve our sleep cycles. The Flex connects with your desktop or your mobile using Bluetooth technology, this makes Fitbit gives a greater advantage over its rival Jawbone which use the traditional 3.5 mm jack to sync up. This allows the users to have the device to in the hand when they are syncing it up with their mobile or other devices. Flex comes with its own charger which can be charged by it only. when you miss it some where of break it, then i am sorry to say you will have to get that separately. Once you charge the Flex it would roughly give you around 7-10 days. The Fitbit Flex has a good application in both iOS and Android , these apps give you a variety of features like setting you goal, seeing the amount of calories burnt, amount of food and water in take and the most active minutes of your day. The Apps got a very small list of food intake which is a big down side and is not so friendly like the Jawbone Up so the App and needs a face lift. Fitbit also provides us with a Web interface which can be accessed from any where in the world, anything you do with the Apps can be done with the web interface. You can add your friend from Facebook, Twitter, Gmail and any other social media, and try to have a competition between you guys so that you get a more effective experience at the same time getting fit. The App and the Web interface allows us to log the workout we make in the time its done in the variety of existing list, but i would appreciate if they update the list with more workout. The Fitbit Flex comes with in a variety of colors, in-case yous damage your band then you can get a set of 3 bands in a pack which is around 30$. This is one feature the Jawbone Up can not meet. The Fitbit Flex is an awesome product, the 99$ you spend to keep you fit is spent well and you will get a lots more from the Flex. The Fitbit Flex has many more advantages than its counter parts at the point of writing this review. If you want to loos weight or get fit and you can afford a fitness tracker then i would strongly recommend the Fitbit Flex. We are talking about fitness trackers alone, so people don't get confused with all the other Smart Watches. If i have to tell a CON here then i would say they have to improve the App and web interface in terms of logging food, logging different workouts and more friendly usability, but i can live with that, so what do you guy think about the Fitbit Flex, are you going to get one, please let us know in the comments, share the love with your friends too. Use yoga belt while doing yoga or exercise, this will help your backbone to keep in place, also will relief you from your backbone pain.